For Exchange Student who are Exchange Student under Faculty's Agreement, the faculty which you apply will issue you with the Acceptance Letter and any related documents for you to apply for VISA at your local Embassy or Consul Office. For more information, please contact the coordinator of the faculty lists below. The official acceptance letter and recommend letter from Thammasat University will enable you to get a visa category ‘ED’ at the Embassy of Thailand in his/her home country. A non-immigrant “ED” visa must be obtained before students leave their home country. Students should hold a visa category NON ‘ED’ before entering the Kingdom of Thailand. VALIDITY OF A VISA - The validity of a visa is 3 months. Please note: There is a 2,000 THB fine for a late 90-Day notification. Your visa will be canceled automatically once you leave the Kingdom of Thailand unless you have contacted the Immigration Bureau to apply for a Re-Entry Permit before you leave.If you are planning to take several trips outside Thailand, it is advisable to apply for a re-entry permit, especially for those who hold a single-entry visa. When you enter the Office, please take the ticket with the number immediately to get the queue.Then wait your number to appears on the board to go to the counter and hand in the documents. The officer will check your documents and ask you to wait until your ticket number is shown on the board, you can collect your passport and receipt. Now you can leave the country and you won't lose your Non-immigrant ED visa. The best option for frequent travelers is to apply for a multiple re- entry permit , so that you won't have to worry about getting a re-entry permit ever y time you take a trip. However, the re-entry permit doesn't work like multiple entry visa. It's only for 90 days, the expiration date is the same date as that from you first entry stamp. So after 90 days you have to extend your stay in Thailand and repeat this proccess again. When you are coming back to Thailand, the "visa number" on the arrival/departure card is now your re-entry permit number.To be on the Safe Side, before taking any trip abroad, it is advisable to inform the coordinator of your host faculty/program about your trip. According to The Immigration Act,B.E.2522,the foreigner who has received a temporary stay permit and stayed in the Kingdom of Thailand over 90 days must notify his residence to immigration officer every 90 days. • Please check expiry date of stay permit in your passport. You must not overstay. • This is not an extension of stay. • Overdue notification is not accepted via internet. Applicant must contact the nearest Immigration Office in person. • However, if you leave Thailand anytime during the 90-day period, then the day count will restart from upon the arrival date of your re-entry into Thailand. • This application online is offered based on the information you provided. If incorrect information was provided, and application online tag may not be issued to you. NOTED : It is better to keep track of the rules of Thai Immigration at all times during your stay in the country, as failure to file your 90-day report can result in a fine of 2,000 THB, and can be increased up to 5,000 THB once you get arrested with an additional fine not exceeding 200 Baht for each day which passes until the law is complied with. The applicant must come to the nearest Immigration Office or Branch Office in your residence area. For Tha Prachan student, you should go to Cheang Watta Immirgration Office. For Rangsit student, you should go to Pathumthani Immigration Office. 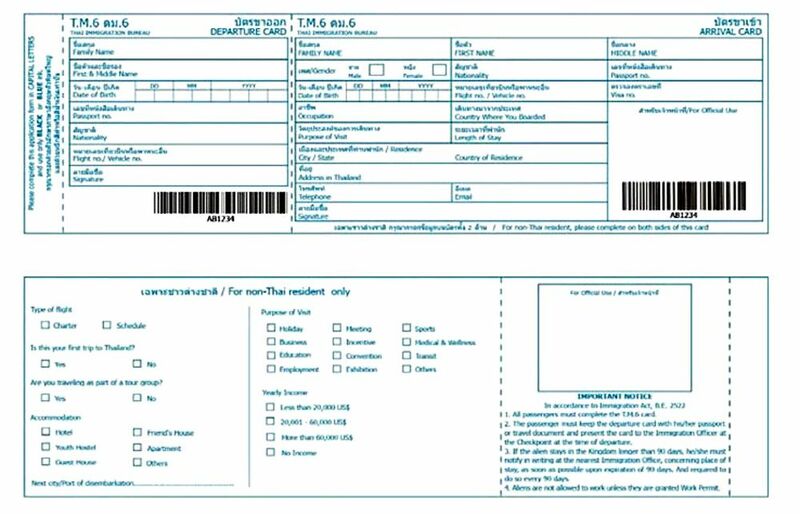 NOTED : Pathumthani Immigration Office always required more documents, please contact your program's coordinator. Students need to contact their program coordinator along with their passport and educational evidence to request a letter for changing visa type. NOTE: The Immigration Bureau requires at least 15 days for visa validation. 1 month before your visa expires, please contact your program with your passport and educational evidence, to request a letter for an extension of stay. This process usually takes a week. - A fine of 500-Baht per day will be applied if a visa extension does not meet the expiry date deadline. - The new regulation for the overstay will be suspended to enter Thailand.